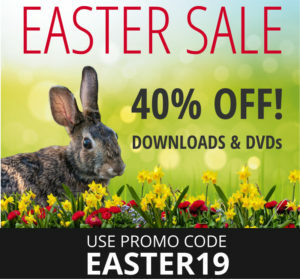 3 Great workouts as seen on TV – Commercial Free! 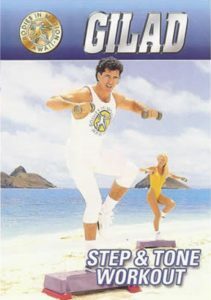 Workout # 1: Total Body. (23:30). Begins with a warm-up, followed by circuit training using light to medium hand weights. After working your whole body, Gilad focuses on the abs. Focus: Whole body and abs Equipment: Light to medium hand weights. Workout # 2: Upper & Lower Body Hot Spots. (23:30). Begins with a warm-up, followed by circuit training using light to medium hand weights, then focuses on hips, thighs, buttocks, shoulders, arms and abs. Focus: Hips, thighs, buttocks, shoulders, arms and abs. Equipment: Light to medium hand weights. Workout # 3: Inner Thighs, Abs & Back. (23:30). Begins with a warm-up, followed by circuit training using light to medium hand weights and an optional medicine ball, then focuses on inner thighs, abs and back. Focus: Inner thighs, abs and back Equipment: Light to medium hand weights and optional heavy ball. 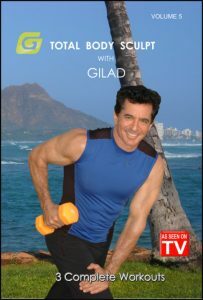 Workout 1: SHOW #19 - Gilad works your thighs and buns - triceps and back - and abs. This show features Gilad, Arthur, Kelley, Danielle and Jim. Equipment: 2 sets small hand weights Focus: Thighs and buns - triceps and back - and abs. 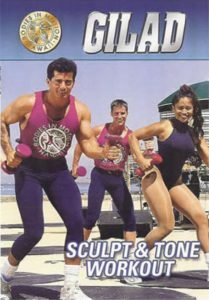 Workout 2: SHOW #21 - Gilad is joined by Kelley, Danielle, Arthur and Jim. 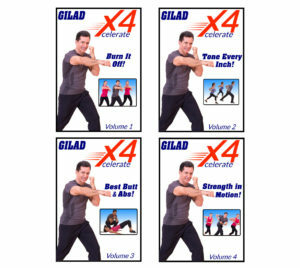 Gilad shows you how to shape your hips and thighs - shoulders and arms? and abs. Equipment: 2 sets small hand weights Focus: Hips and thighs - shoulders and arms ? and abs. 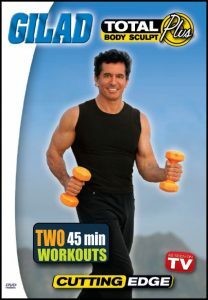 In this easy-to-follow body sculpting workout Gilad targets all the major muscle groups that give your body its shape. 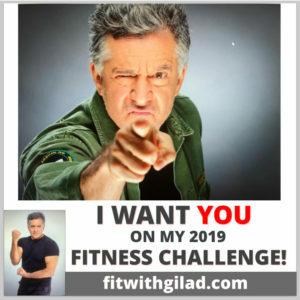 Gilad expertly works you from the larger muscle groups of the chest, back and thighs to the smaller muscle groups of the shoulders, arms and calves. This workout is designed to tone you from head to toe giving you noticeable cuts and curves. 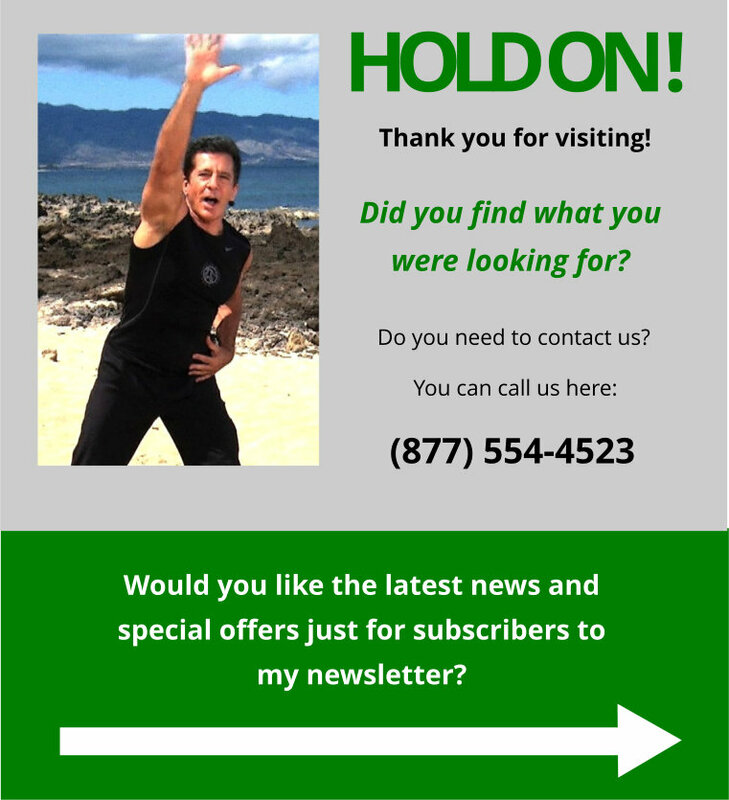 Gilad keeps you highly motivated using his brand of excellent instructional techniques. He takes you through progressive sets of resistance exercises using 2 sets of light weights (3-10 pounds) and a resistance band. Workout # 1: Abs, Buttocks & Biceps. (23:30). Begins with a warm-up, followed by circuit training using light to medium hand weights then focuses on abs, buttocks and biceps. Focus: Abs, buttocks and biceps. Equipment: Light to medium hand weights. Workout # 2: Thighs, Abs, Shoulders & Triceps. (23:30). Begins with a warm-up, followed by circuit training using light to medium hand weights, then focuses on thighs, abs, shoulders and triceps. Focus: Thighs, abs, shoulders and triceps. Equipment: Light to medium hand weights. Workout # 1: Hips, Thighs, Buttocks, Abs & Arms. (23:30). Begins with a warm-up, followed by circuit training using light to medium hand weights and an optional medicine ball, then focuses on hips, thighs, buttocks, arms and abs. Focus: Hips, Thighs, Buttocks, Abs & Arms. Equipment: Light to medium hand weights and an optional medicine ball. Workout # 2: Hips, Thighs, Abs, Chest & Shoulders. (23:30). Begins with a warm-up, followed by circuit training using light to medium hand weights, then focuses on hips, thighs, abs, chest and shoulders. Focus: Hips, Thighs, Abs, Chest & Shoulders. Equipment: Light to medium hand weights.